Drunk driving is a nationwide epidemic that claims thousands of lives each year across the U.S. In fact, in 2010 alone, one life was claimed every 51 minutes because of the recklessness of individuals who chose to drink and get behind the wheel. As drunk driving victim lawyers are all too aware of, Maine is certainly not immune from this epidemic. In 2005, there were a total of 169 fatalities caused by car accidents in Maine, 47 of which were alcohol-related. 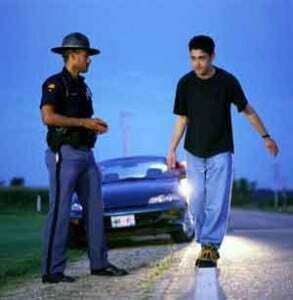 That statistic has held steady over the years, with 164 total fatalities in 2012, of which 45 were alcohol-related. These statistics do not reflect the countless injuries sustained by victims of drunk driving. Over the last 30 years, 158,379 drivers have been found in violation of drunk driving laws in Maine. More than a quarter of those convicted are repeat offenders. As alarming as these statistics are, it can be difficult to put a human face on the tragedy – until it happens to you or a loved one. Anyone can become a victim of a drunk driver’s carelessness – from pedestrians to bicyclists to passengers. Victims come in all ages, such as the two young children from Madison, Maine who were the victims of their own father’s drinking and driving. The children of James R. Labonte were lucky enough to escape without injury. Others have not been as fortunate, as the family of Anthony Ciccone, a Pepperell, Massachusetts man discovered early one morning in September of 2012. Ciccone was a passenger in a car driven by Christopher M. Bennett of Rhode Island. The duo was visiting friends in Maine. Officers determined that Bennett was driving the car at 80 mph in a 30 mph zone when he crashed into a utility pole. Although Bennett sustained non-life-threatening injuries, 20-year-old Ciccone lost his life. The victims of drunk driving accidents have an array of support systems available to them. Family members of victims who did not survive the accident can also turn to a drunk driving victim lawyer for help learning about the justice system in Maine. Firstly, those who are found guilty of drunk driving under Maine’s operating under the influence (OUI) laws are subject to criminal penalties. An OUI conviction is likely if the driver had a blood alcohol content (BAC) of 0.08 percent or more, if the driver refused a chemical test, or if the driver was under the age of 21 at the time of the car accident. Drivers can face significant penalties, jail time, and license suspension. The degrees of severity of these penalties can increase, based on the specific factors of the case. Although criminal penalties may help the victim and family members feel as though justice has been carried out, it’s best to contact a drunk driver lawyer in Maine as soon as possible. An attorney can help victims and family members learn about legal rights and options, such as filing a personal injury lawsuit against the drunk driver. Compensation from a lawsuit or insurance claim can help pay for medical expenses, ongoing care needs, rehabilitation, property loss, lost wages, and loss of earning capacity. Victims of drunk driving can also seek support from the Maine chapter of MADD. MADD Victim Services offers victims and their family members emotional support. The group also brings survivors together in support groups and other forums to facilitate victim empowerment. You can learn more about your legal rights and options with the help of a veteran attorney who has experience in these types of cases. The car accident attorneys of Hardy, Wolf and Downing bring more than 35 years of experience with personal injury cases to the courtroom. Our legal team understands the lasting impact a drunk driving accident can have on your family and we’ll work to ensure you receive the maximum compensation you deserve. You can reach our team of experienced drunk driver victim lawyers in our Portland or Lewiston, Maine offices at 1-800-INJURED. Contact us to schedule a free review of your case.